The numbers tell the BluSKY story. 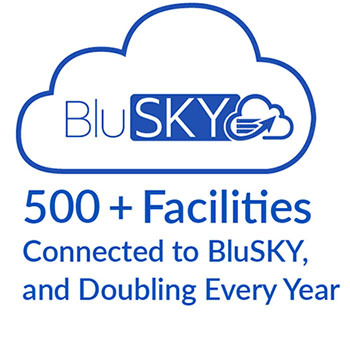 There are now over 500+ facilities and 3,636 companies connected to BluSKY, with that number doubling every year. 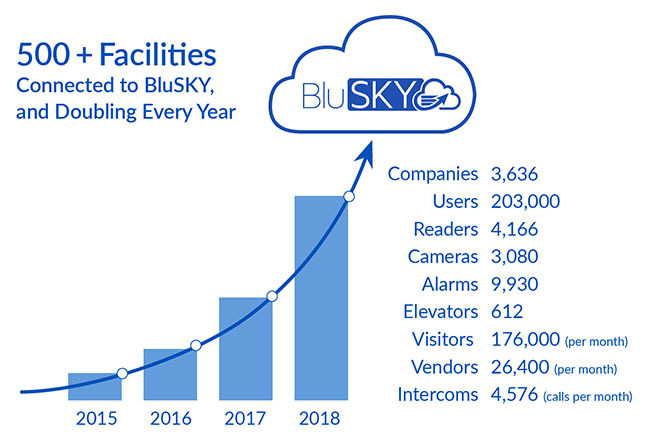 BluSKY is unlike any other software product in the physical security marketplace, with an unmatched all-in-one cloud-based platform that meets and exceeds all your security needs. The time is now – If You’re Not Running BluSKY, You’re Running Behind. Let BluBØX bring your system to the BluSKY cloud.